We have been witnessing a real boom lately in discussion about the importance of culture for urban development. According to many experts, it is cultural practices, creative economies as well as other hubs and clusters that should breathe new life into Ukrainian cities, which at the same time do not have budgets for radical change and are encumbered with an obsolete Soviet-era infrastructure. European countries have in fact already gained some experience of urban transformation in which cultural practices played a significant role. How did this take place in practice and is this experience relevant for Ukraine? Founded back in 1973, Live Theatre in the UK did not at the beginning have its own premises and, therefore, had to experiment with public space. Plays were performed on the city’s streets, in squares and in pubs. Eventually, an abandoned complex of former industrial buildings on the banks of the River Tyne attracted the attention of the theatre’s founders. Industry in Newcastle and on its outskirts was going through crisis and the Tyne was gradually losing its significance as a transport artery. Thus, the extensive infrastructure of warehouses on its banks was no longer in demand. In the 1970s, this place was considered to be a district with a bad, even criminal, reputation. The absence of prospects of finding solvent tenants forced the owners of empty warehouses to agree to cooperate with artists. Payment for the use of the territory was nominal, but called for significant efforts on the part of the tenants in transforming the premises. This collaboration, which was absolutely unheard of at the time, proved to be extremely fruitful. From the moment it got its own premises, Live Theatre has operated as a free platform. “Any initiatives were supported here on condition that the organisers had to get to work themselves. If you wish to organise an exhibition, then hang it yourself. If you wish to hold a performance, then find what is necessary yourself,” says Cait Read, the theatre’s marketing manager. Gradually the activists repaired the premises, and due to Live Theatre’s exciting projects, visitors flocked there. “At first, this process was rather spontaneous; the theatre team were simply trying to create for themselves and their guests decent conditions for work and leisure. But over time it became clear that Live Theatre could become a project focusing on the transformation of the outskirts,” says Cait. The theatre complex currently includes two fully refurbished former docks, where a theatre with two stages is located (for 150 and 40 viewers, respectively), in addition to rehearsal and lecture halls, administrative offices, warehouses as well as its own cafe and pub. Live Theatre plans to renovate several more nearby buildings in the near future, thereby creating an entire creative neighbourhood. One part is to be used for various cultural and educational activities; the other will be transformed into space for offices that the theatre will rent out to commercial companies. This is advantageous for both the theatre (revenue) and the tenants (cultural institutions in Britain receive tax relief and, consequently, rents will be lower than the market average). “We have developed a business model and calculations. Investments in conversion will be covered in the future with revenue from renting out office space. The main thing is that the project has the support of the area’s residents, we even collaborate with the church,” says Cait Read. Today, Live Theatre earns roughly 30% of its budget from the sales of tickets for exhibitions and concerts. In second place comes the revenue from the cafe and pub. In addition, there is the “Friends of Live Theatre” programme, by which donations are transferred to the theatre’s account. Furthermore, about a quarter of the budget is financed by the state. This is one of the features of the existence of cultural institutions in the UK: almost all of them are co-financed from local budgets, but it is rarely more than by half. However, the most interesting part of Live Theatre’s story is how its development impacted Newcastle on the whole. The transformation required almost three decades, but now Newcastle’s embankment around Live Theatre is a trendy touristic district of the city that is not short of hotels or Starbuck cafes. 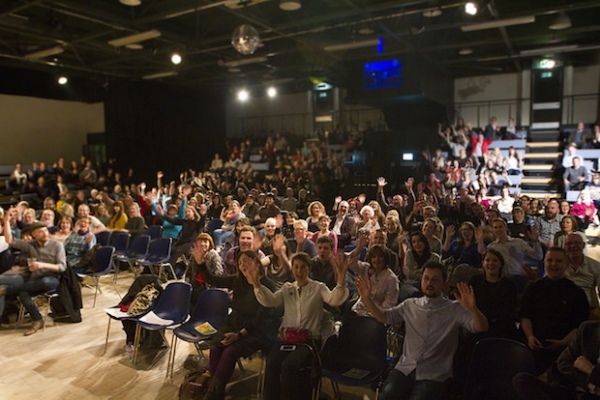 Moreover, Live Theatre’s experience inspired local authorities and residents to rethink other abandoned buildings. 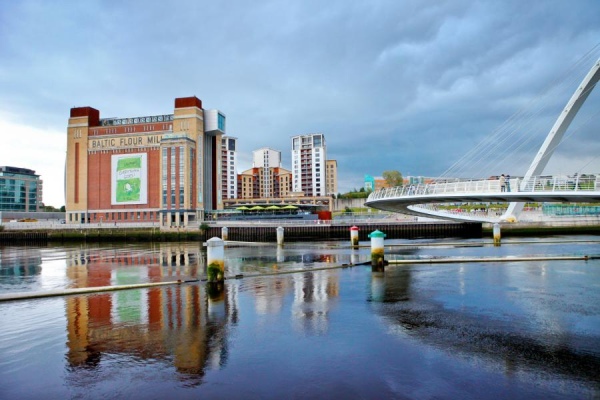 Thus, in 2002, a ten-minute walk from Live Theatre and on the banks of the Tyne too, in the space of an old industrial mill, the Baltic Centre of Contemporary Art was opened, which is one of the most famous art centres in the UK. Interestingly, its second director, Peter Doroshenko, was at one time the head of PinchukArtCentre. 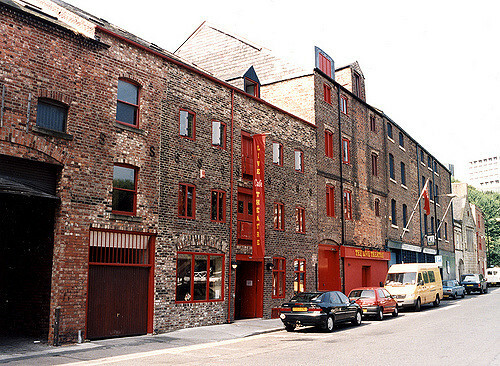 In 2002 the Baltic Centre of Contemporary Art was opened in the space of an old industrial mill in Newcastle. However, despite Newcastle’s positive experience, it was from the beginning a spontaneous movement, from the grassroots up. There where using cultural tools for transforming and developing urban space was planned immediately, results were achieved faster. 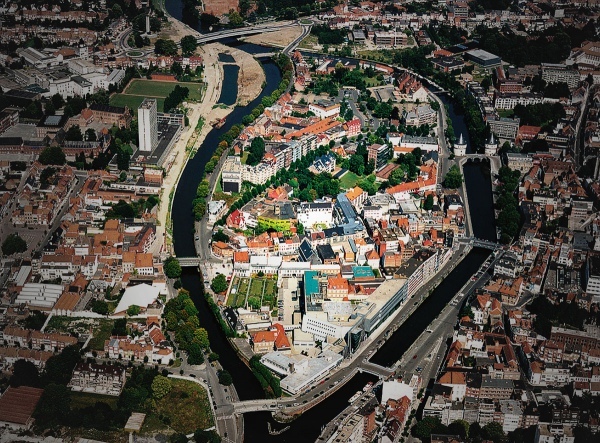 In 2002, the local authorities of Kortrijk (in a Flemish province of Belgium) began an ambitious programme to convert abandoned factory premises on Buda Island. This island in the middle of River Leie (or Lys) is located very close to the city centre. However, after the closure of local coal processing and arms manufacturing businesses, it was virtually abandoned. 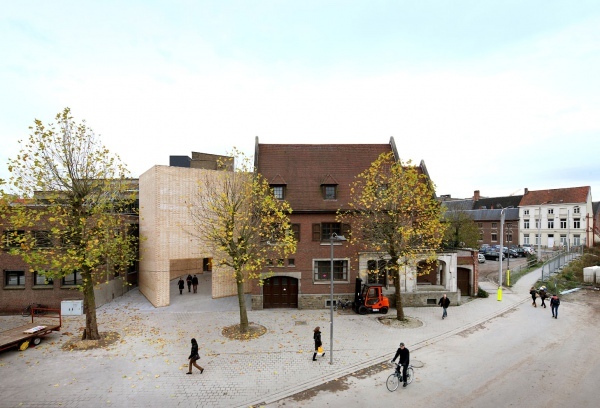 The Kortrijk authorities saw in the island not only unclaimed space, but also an opportunity to offer something to the local creative community. Despite the country’s small size and a good transport infrastructure, many creative industry professionals preferred to work in neighbouring Lille, Ghent or Antwerp. The authorities invited for dialogue five of the most prestigious art organisations in the city and they agreed to support the project to transform the island into a creative space. They first created the ArtcentreBUDA, which became a place of residence for cultural activists. But the most famous point on the map is Buda Fabriek – a combined space that includes a space for exhibitions of contemporary art, for the work of artists in various sectors and educational activities. It is also equipped with workshops for working with the latest technologies, like 3D printing. Contemporary art in Kortrijk proved to be commercially successful. During 2015, the “factory” developed and launched at least 15 products on the market. The island has become a magnet for a variety of initiatives. For example, the headquarters of DesignRegioKortrijk, which is an agency engaged in promoting and disseminating the principles of design thinking to other economic sectors and institutions in Belgium, are located on the island. However, according to Franky Devos, director of Buda Fabriek, public funding is necessary for such success. “Crowdfunding, donations from business partners, other alternative sources of funding are very important, but for the time being they can only reduce the burden on public funding, and not replace it. Very few people are willing to invest in long-term development projects. However, this situation may change in the future,” says Devos. On the whole, the efforts to transform Buda into a creative centre have created new jobs, reorganised abandoned space and led to an increase in the flow of tourists to Kortrijk (two significant international events are held here: Biennale Intérieure and Creativity Week). The issue of funding and its alternative sources are crucial not only in Belgium. However, in Amsterdam, the interpretation of the role of culture in the development of the city has focused on the educational component. In the Netherlands, the current Plan for the Arts 2013-2016 aims, by the end of this period, to allow cultural institutions to fill at least 25% of their budgets from their own revenue. Another goal set in the city’s strategy is to make Amsterdam the centre of the most rapidly growing creative industries by 2020. 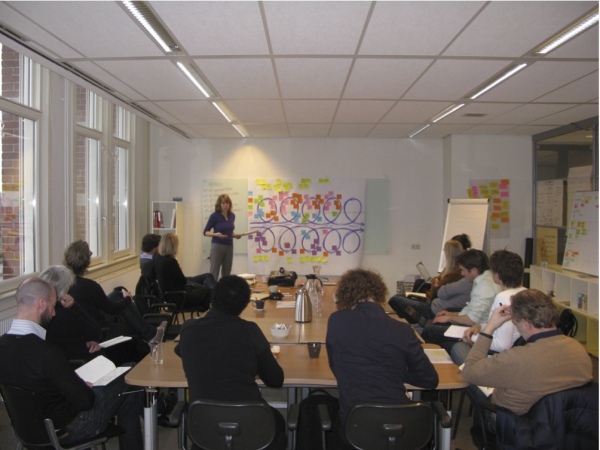 Already in 2011, the Amsterdam Economic Board (a wide partnership between the public, non-governmental and commercial sectors) created a document called “Knowledge and Innovation Agenda”, one of whose tasks was to stimulate innovative and entrepreneurial approaches in organisations and certain other professionals in the cultural sphere. THNK was created in Amsterdam for the implementation of these goals. 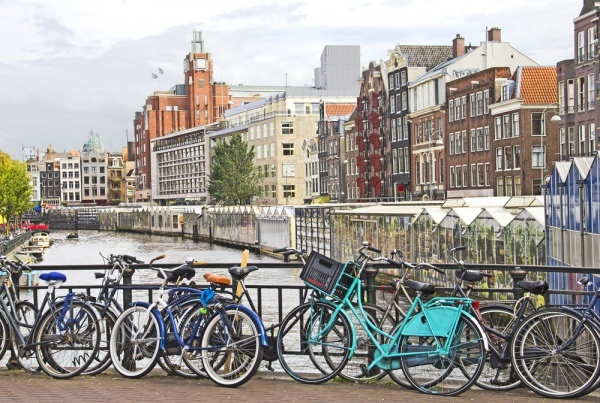 It is an educational institution and, at the same time, research centre and think tank, and aims to stimulate the development of creative innovative projects from around the world in Amsterdam. THNK was launched in 2012 and has already created over 50 successful startups since then. Last year alone, around 2,000 persons were enrolled at the institution. Its work has been recognised so successful that in 2014 THNK offices were opened in Lisbon and Vancouver, and there are future launches planned in the Middle East and China. In fact, THNK itself is a good example of what it teaches: it receives more than a third of its budget from sponsors (businesses) and its own revenue. THNK’s work has also impacted Amsterdam’s international image as a city of creativity and innovation. In Dundee, Scotland (only two hours north of Newcastle) creative industries began to be introduced into regional economic development and growth programmes over 20 years ago. The city’s current cultural strategy (2015-2025) focuses on the problem of outflow of residents (particularly artists) to larger cities. In order to enable them to work and develop, two creative hubs were established in the city: District 10 and CreativeDundee, both of which are practically full. To achieve this, the owners offered residents maximally flexible lease and payment terms as well as a wide range of exciting activities. 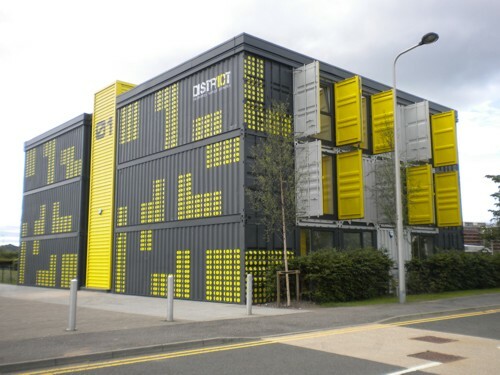 DesigninAction, a highly specialised hub for designers, operates in the city. Moreover, to address the problem of outflow of young people, a local university – one of the biggest in the region – joined. It now offers a wide range of grants and opportunities for students from other parts of the UK and other countries. In addition, the future Museum of Design Dundee is under construction in the city, which will become the first design museum in the country outside London (scheduled to open in 2018). 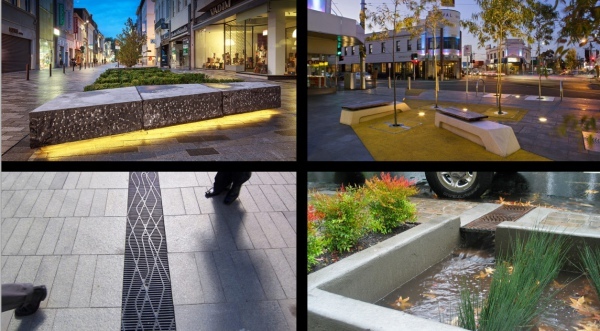 As a result of all these efforts, Dundee was named UNESCO City of Design. The local authorities joined the development of creative hubs in Kosice, Slovakia, based on the large number of abandoned buildings. 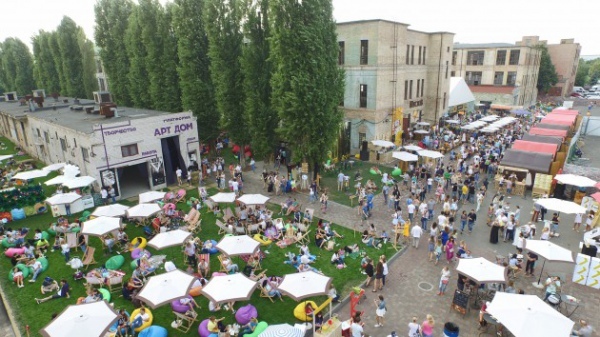 The Kasárne/Kulturpark creative cluster was created at the site of former military barracks near the city centre. It houses more than 30 creative industries, spaces for educational projects and new media offices. Tabačka (a former tobacco factory) was converted into a space for contemporary theatre, ballet as well as other performance and music arts. It also became an active participant of international networks and a venue for holding regular creative forums. Kosice city council assesses the impact to this day of events in creative hubs on the rise in the influx of tourists to the city at 15% compared to figures for 2012. In addition, both projects were highly evaluated by European development agencies and used as models for development programmes in other cities. Although the scale of European projects remains out of reach for us for now, Ukraine already has its own urban initiatives that aim to change the image of cities. 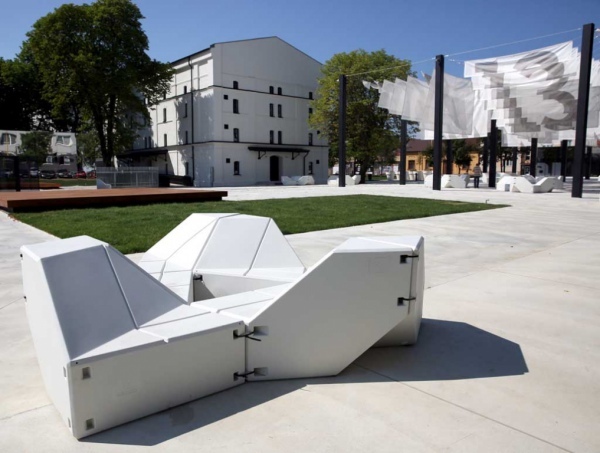 The first and most famous one at present is the Teple Misto Platform in Ivano-Frankivsk, which aims to transform the city into a progressive, comfortable and attractive destination for tourists. It plans to achieve this through the development of the middle class and horizontal links in the city. The head of the initiative is Yurii Filiuk, the owner of several conceptual public institutions in Ivano-Frankivsk. Teple Misto has already attracted attention not only on Ukrainian territory but also abroad – the visual style of the city, developed in the framework of the initiative, was shortlisted for the Cannes Lions International Festival of Creativity. Part of the initiative is the Warm Art project, which supports contemporary art. It includes open educational lectures and an art residency in Ivano-Frankivsk (the first to obtain it was the Polish sculptor and video artist Pawel Althamer). Activists are currently planning the reconstruction of one of the streets, a matter that clearly embodies the plans of Teple Misto. “Hriunvaldska is a small street that leads from the train station to the city centre. And we had the idea of developing a model for an ideal city using the example of one street. We are still thinking about how to implement it, rendering in 3D ideal streets, ideal building facades and ideal signs. The full implementation of the project will require seven years. For now all of this is just an announcement, but we believe in the future,” says Yurii Filiuk. No less ambitious are the plans of entrepreneurs who are working on restoring and refurbishing the Expocenter of Ukraine in the capital city. If Maksym Yakover and Maksym Bakhmatov are able to realise their idea, this huge and semi-abandoned territory in the city will be transformed into a hub of innovative urban and cultural projects. In less than a season (the reformers began their work in the summer of 2015), they have already succeeded in turning the Expocenter from a loss-making organisation into a profitable one (although the profit level is still small). In the near future, the site is to be developed in 7 directions: from business activities to children’s events. The vision of the authors also includes space for contemporary art projects and an educational programme. None of these initiatives is actually artistic, but cultural practices are an integral part of them. When talking about the future of these or similar projects in Ukraine, research of European experience of the synergy of cultural and urban projects shows that the majority of them could not have happened without the participation of public institutions, which in the main provide their financial and infrastructure support. Cultural institutions are, in turn, making efforts to reduce the burden on local budgets, but the idea of successful practices without any participation of the state is far-fetched. “I will say an unpopular thing. Support from above of those who make decisions is necessary. Unfortunately, this is how it works in this country for now,” says Maksym Yakover. Nevertheless, in Ukraine the complexity of the situation does not only lie in budget financing, but also in communication processes themselves and collaboration between the state and non-government organisations. The lack of obvious efforts to establish transparent and responsible work, on the one hand, and the lack of trust, on the other, make fruitful collaboration within the framework of long-term projects almost impossible. National attempts to revitalise spaces such as Art-zavod Platforma or the Dovzhenko Centre have been met with indifference or resistance from officials in Kyiv. 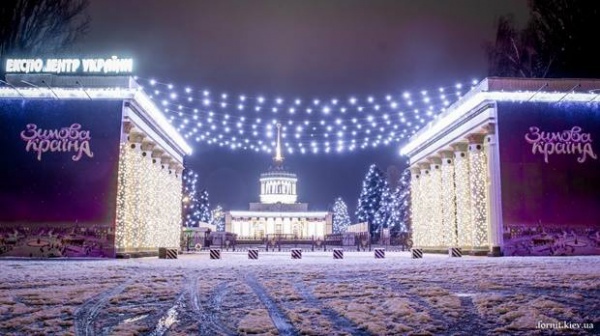 A number of high-profile conflicts in recent months (starting with the situation with the Nebesna Sotnia Square to Saint Sophia Cathedral in Kyiv), the culmination of which was the process of electing a new chief architect for the capital, shows that the situation has reached deadlock. The authorities do not want to become more open to cultural organisations and communities, and activists are learning to do without their help in their plans. This is currently putting an end to the possibility of developing global urban projects. What can break this cycle, and will this happen in the near future?